More and more people are succumbing to stress in Denmark, so in a bid to address the problem, the government has this week announced the setting-up of a stress panel. The panel’s job is to come up with recommendations as to how we as a society reduce the numbers of people hit by stress, reports DR Nyheder. According to Denmark’s health profile from 2017 from Sundhedsstyrelsen, stress levels are highest amongst young people, single people, the unemployed, the sick, and people with lower educational levels. But the people absolutely most at risk are women between the ages of 25 and 55. Birgitte Larsen is the deputy head of Stressforeningen, an association for people with stress. She has also noticed more young men seeking help recently. “I’ve talked to a lot of young men during the spring who have been stressed in connection with exams,” said Larsen. A feeling of being left out – either at work or in society can also be a major cause of stress. People with higher academic qualifications don’t seem to be stressed in the same way. “These people are typically better able to seek help through their employers – for example, by getting referrals to psychologists. There is a great deal of social inequality in this area,” added Larsen. An area of almost 4,000 square kilometres in western Greenaland called Aasivissuit – Nipisat has been added to the UN culture organisation UNESCO’s list of world heritage sites. The area comprises land, lakes, a fjord and part of the inland ice sheet, reports Berlingske. “It is the most impressive nature you can imagine,” said the culture minister, Mette Bock, who described the listing as “a really good piece of summer news”. But it is not only nature. “There is just as much significant cultural history that this area bears witness to that is important to communicate,” the minister added. The landscape also bears traces going back to the first human settlers who came to Greenland from North America. Traditionally, July in Denmark is synonymous with holidays, barbecues, festivals – and drunken driving. The Danish national police has announced increased checks focused on this issue for the whole of July, reports DR Nyheder. “Drunk driving is unacceptable. We’re unfortunately seeing an increase in the numbers of people killed and seriously injured in traffic over the summer months due to alcohol,” said PC Christian Berthelsen from the police national traffic centre. This time last year, 587 people were caught driving over the limit. As well as things like concerts and markets, the police will also be keeping an eye on beach areas. If there is something guaranteed to get a motorist’s blood pressure up, it is getting what he or she feels is an unjustified parking fine. Following on from parliamentary recommendations from last year, an independent tribunal, Parkeringsklagenævn, has been set up to receive complaints of this nature over private parking companies. Both the Danish motoring organisation FDM and the consumer body Tænk will be represented on the tribunal. A fee of 175 kroner is charged to investigate cases, which is refundable if the motorist is found to be in the right. The service is only available online through the website parkeringsklagenævnet.dk and fines imposed by the police will not be considered by the tribunal. An obvious thing to do in these balmy summer days is to go for a cooling dip, and should you want to see something spectacular, you should head over to Aarhus. 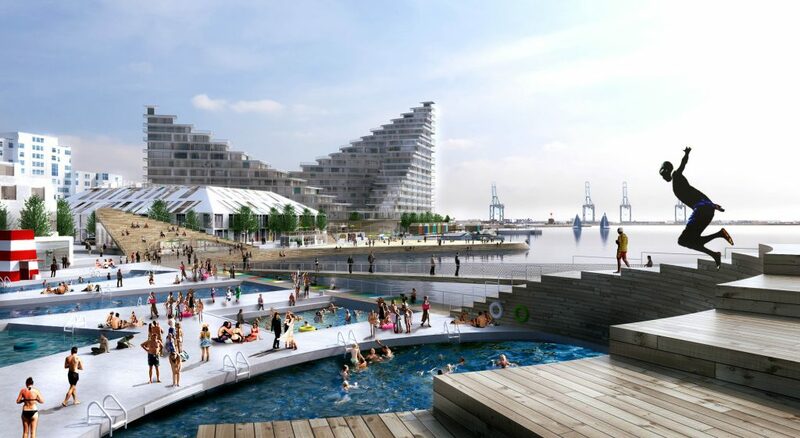 A new harbour baths facility designed by world-famous architect Bjarke Ingels’ company BIG has just opened – and it is the world’s largest, reports DR Nyheder. Among other things, there is a 50 metre long pool, a children’s pool, a diving pool and two saunas. The baths were set to open last year but this was postponed –partly because the water was not considered clean enough. The baths can accommodate 650 bathers and are situated in Aarhus Øst. They will be open to the public during the whole of July and August from 10:00-19:00 every day.